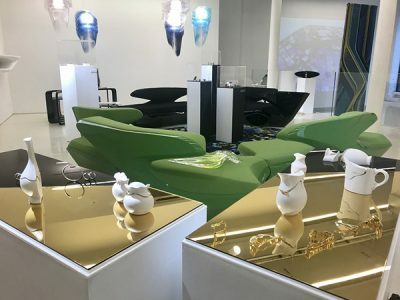 Isabella Liu who has been named as both Influencer and Ambassador for the China Britain International Design Week and the British Council in Asia for 2018, has been invited to preview her new ethical jewellery collection ‘Twilight’ at the Abstract Expressions exhibition at the Zaha Hadid Gallery (October 10 to October 19). The Twilight Collection is a celebration of Love, encapsulating the beauty and energy of the Goddess of the Moon. 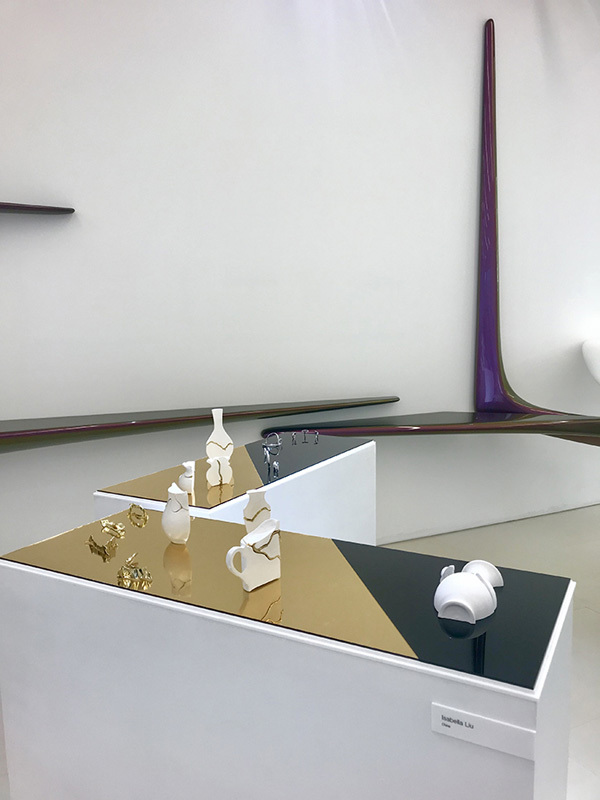 The Moon and its many phases, often believed to symbolise the female form and the cycle of life, have inspired Isabella to create pieces which tell the tale of life – the crescent is youth and adolescence, the full moon is maturity and pregnancy, and the waning moon represents the final step in the journey of life. At a deeper level, Isabella sees the moon as a symbol of the inner self – a visual representation of hidden emotions, desires and dreams and hopes that these pieces will help the wearer to engage with their own inner self and help open both emotional and creative conduits for life. This elegant collection features exquisite high-tech ceramics and the finest eco-friendly diamonds set in fine silver and so, importantly, can truly be described as an ethical collection. Isabella deliberately chose these materials to best deliver both a visual statement, encapsulating the beauty and energy of the Goddess of the Moon, and also a physical statement of her personal passion to make the world a better place through her creative and deliberate choice of earth friendly materials. 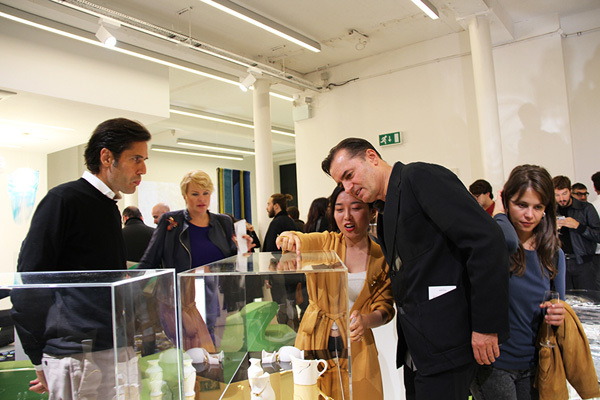 “I want this new collection to be available to as many people as possible – so the price point is deliberately lower than my bespoke work, whilst still maintaining the highest standards of craftsmanship and quality of materials. The full Twilight Collection launches at the end of October in both China and the UK and there will be 25 pieces in total”, comments Isabella. Isabella’s industry acknowledged Mending Collection will show alongside Twilight. 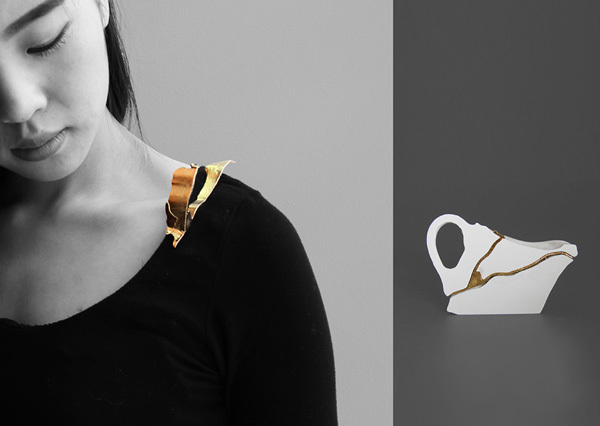 Inspired by the oriental art of Kintsugi and her own design philosophy, Isabella Liu believes that damaged objects have the potential to become more beautiful. 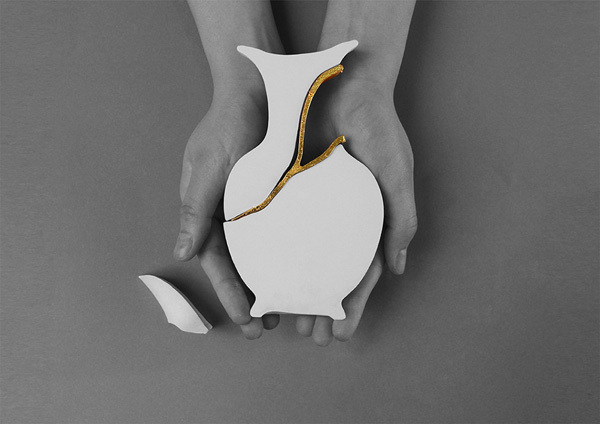 In the Mending Collection, she has chosen to focus on broken and fragile objects, utilising a narrative approach to design a set of ceramic tableware. Instead of hiding their damaged areas, she has chosen to celebrate their fragility, transforming them into wearable sculptural forms of art, and so giving them new life. 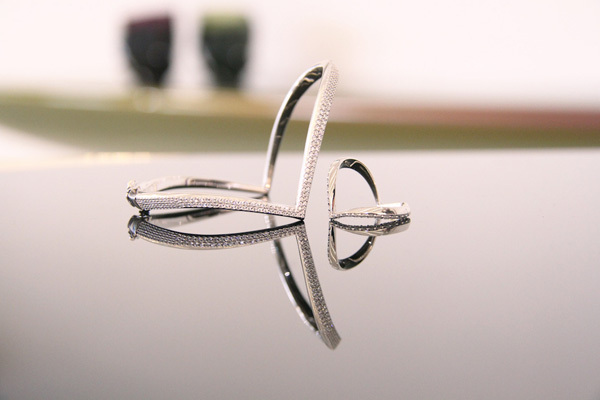 Isabella pushes the boundary between object and jewellery. 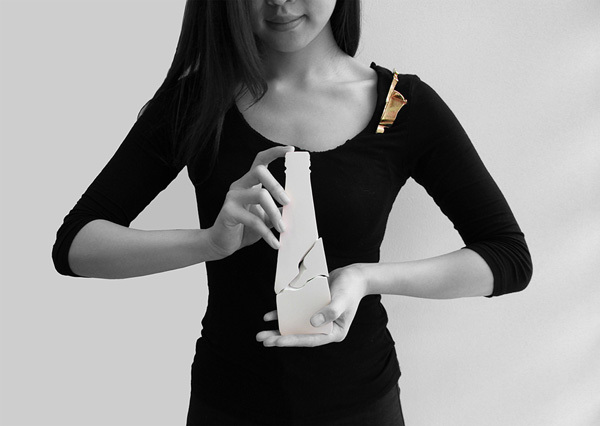 The golden crack is intended to be seen not only on the body as a piece of jewellery but also uniquely as a museum art piece in its own right, thereby engaging the audience through the transformation of the piece.